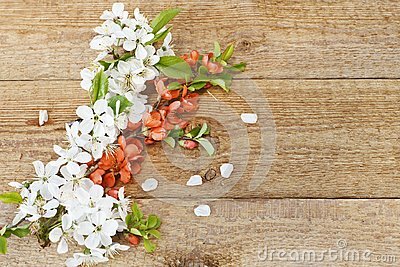 Close-up photo of Beautiful white Flowering Cherry Tree branches. Wedding, engagement or betrothal concept on vintage wooden background. Top view, greating card.